The energy is INTENSE right now. 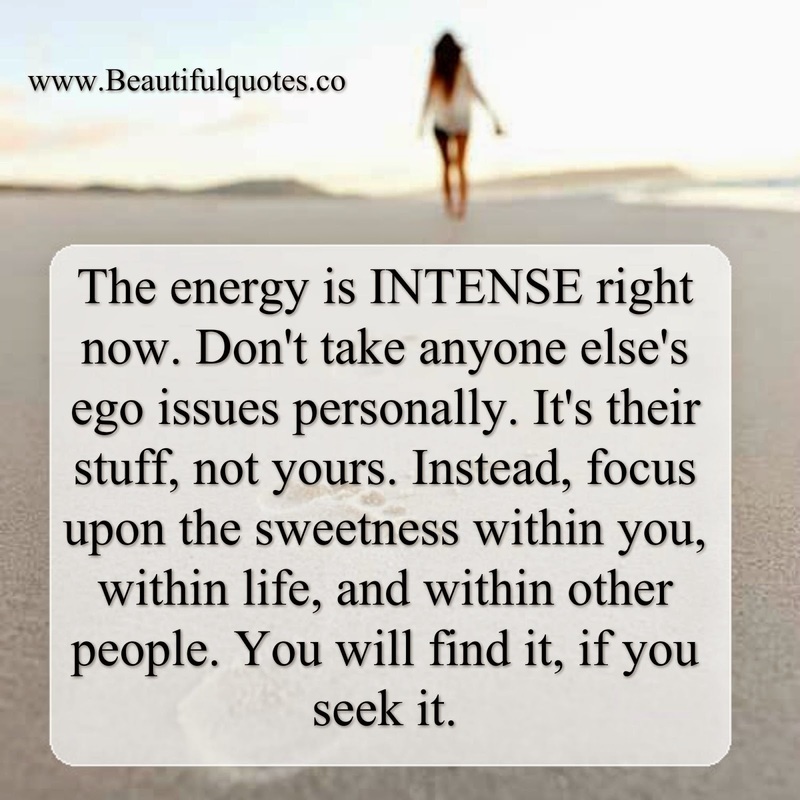 Don't take anyone else's ego issues personally. It's their stuff, not yours. Instead, focus upon the sweetness within you, within life, and within other people. You will find it, if you seek it. Always remember your mission: you were sent here to bring light and love. If everyone was already peaceful, your presence wouldn't be needed here. The key is to not add to the anger or stress while you're here on earth. To do so will get you tangled in the karmic web. Do your best to rise above drama, and have compassion for people who are acting out of their fears. And avoid reacting to their fears, because that just pours gasoline upon the fire. Describe yourself and your day with positive and loving words. Using complaints and "victim talk" only disempowers you. Please don't delay your mission, waiting for the world to be happy and peaceful first. That's backwards. First you fulfill your mission (by being happy and peaceful and shining your light) and then the world is a happy and peaceful place because of your contribution. "Dear God, Higher Self, and the angels . . . please show me the exact steps to take to open my heart to divine light and love." Then trust and follow the intuitive thoughts and feelings that come to you in response to this prayer. Heaven will support and help you every step of the way on your mission, if you'll ask for and then follow your intuitive guidance which is your road map to receiving support and help.